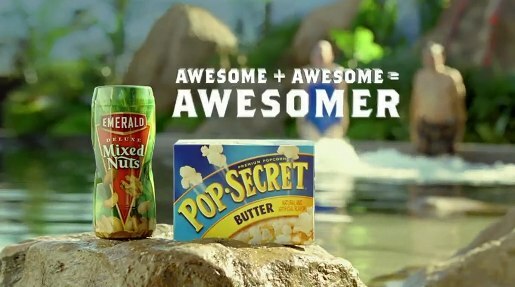 Diamond Foods ran a whacky Super Bowl commercial for its Pop Secret Popcorn and Emerald Nuts. The Pop Secret Super Bowl commercial features the World’s Most Flamboyant dolphin trainer standing on top of a volcano in the middle of a marine theme park. The ad’s online at www.letsgetaquatic.com and the campaign’s YouTube channel. The Super Bowl ad was part of an integrated campaign that included print, online and in-store components. The Company ran a full page ad in USA Today in its Super Bowl Preview section on Friday, February 5. It also ran online ads the week before the Super Bowl on the websites of USA Today, Wall Street Journal and the New York Times. After the Super Bowl, the Company used search advertising on Google and YouTube. 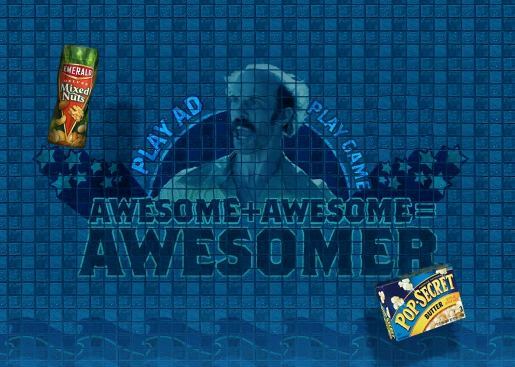 The Let’s Get Aquatic site includes the Super Bowl ad and a very basic online game, with links to the Emerald Nuts and Pop Secret sites. The campaign was developed by Goodby, Silverstein & Partners, San Francisco, by creative director Steve Simpson, group creative director Erik Enberg, art directors Nick Spahr and Jason Warne, copywriters Craig Mangan and Jon Wolanske, agency producers PJ Koll and James Horner. Filming was shot by director Craig Gillespie via MJZ, Los Angeles, with line producer Deb Tietjen, director of photography Chivo Lubezki. Editor was Jim Hutchins at Hutchco with assistant editor Joaquin Machado. VFX were produced at MassMarket by VFX supervisor Sarah Eim, senior producer Blythe Dalton, executive producer Rich Rama. Sound was designed at Eleven Sound.